This very pleasant and elegant, 13-story, light beige-brick building was erected in 1908 and converted to a cooperative in 1980. 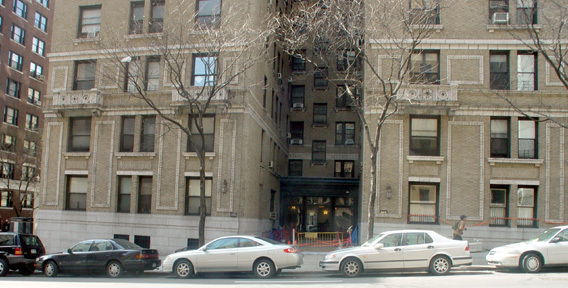 The building has an entrance set in a deep court with sidewalk landscaping and its bottom two floors are nicely decorated with terracotta frames between the window above a granite base. It has a large, glass vestibule and a concierge and several decorative balconies. The building has consistent fenestration and permits protruding air-conditioners. 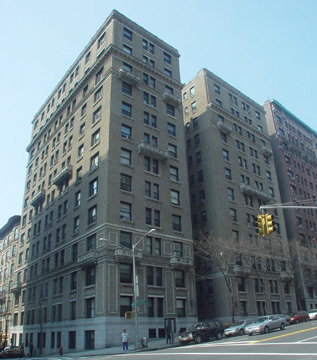 One block from Riverside Park, this building, which has no garage, is very convenient to public transportation and neighborhood shopping as 96th Street and Broadway is a major Upper West Side intersection.